The Annual Honeywell Building Technologies Distributor Conference was held on Monday, September 3rd, 2018 at the Hilton Hotel in Osaka, Japan. Mick Thomas, Justin Ford and David Callus were all in attendance and representing FireSense. Despite the pending typhoon to reach Japan, they were happy to win and walk away with "Distributor of the Year","Diamond Award", and "Project of the Year" for the company. FireSense is proud and thankful for the recognition we continue to receive in not only the fire industry, but by Notifer by Honeywell. 'Building Wire' cable is now a Declared Article in NSW, and has been added to Part 2 of AS/NZS4417, as a Level 3 classification. A Level 3 classification is determined as 'high risk'. Any cable deemed Level 3 is required to be tested, granted regulatory approval & marked with a RCM logo to comply with these new requirements. As of 1st July 2018, all NSW wholesalers & contractors can only sell Building Wire cables that have a NSW Approval Number and/or approved alternate mark. These new changes apply to most of our Fire Rated cable, however all FireSense TPS & Fire Rated cables have been tested, approved and will be marked with our Certification number & RCM logo, as per these requirements. The new markings will be printed onto the sheath of our cable, our drums and our packaging. For consistency, and peace of mind, FireSense's entire range of cables extends well beyond the Building Wire requirements referred to in the standards. We have applied the same rigourous tests and have added the same markings for all cables, including our ELV/LV cable, our Screened cable and our larger Single Core cables. To view our ASA Approval Certificates, please click here. Range of AS7240 Approved Devices Now Available! Due to the adoption of AS/ISO7240.24 in the Australian Standards, FireSense now holds a range of AS7240 Approved Devices. 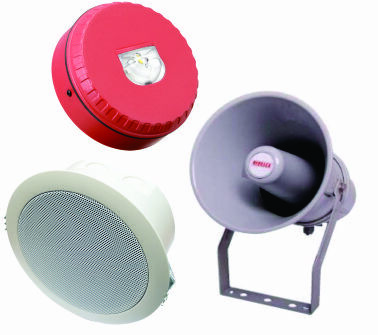 In the past there was next to no regulation on the design of speakers or strobes within the fire industry. To be in sync with international requirements, the fire industry has implemented these changes to improve the safety of not only people within the construction industry, but also members of the public. As of May 2017, all construction certificates submitted must abide by the latest amendments to AS1670.1.2015 & AS7240. As of May 2017, changes have been introduced in AS1670.1.2015, the Australian Fire Alarm Installation Standards. The new changes have stipulated that all Fire Alarm cable must meet the minimum mechanical rating of WSX1 for transmission paths under Clause 3.26. Not only do all FireSense cables have ActivFire certification, but we are fully compliant and certified in accordance with AS/NZS 3013 to a minimum of WSX1 across our range - from our TPS Fire Alarm cable, right up to our 2HR Fire Rated Power and Single Core cable. FireSense are the market leaders when it comes to changes in the Australian Standards, and meeting all markings and requirements that are relevant. This new change applies to all buildings that have a construction certificate issued after May 2017, which means all new builds after this date need to meet this requirement. We encourage all our customers to contact us if you need further information, or a better understanding of these changes. 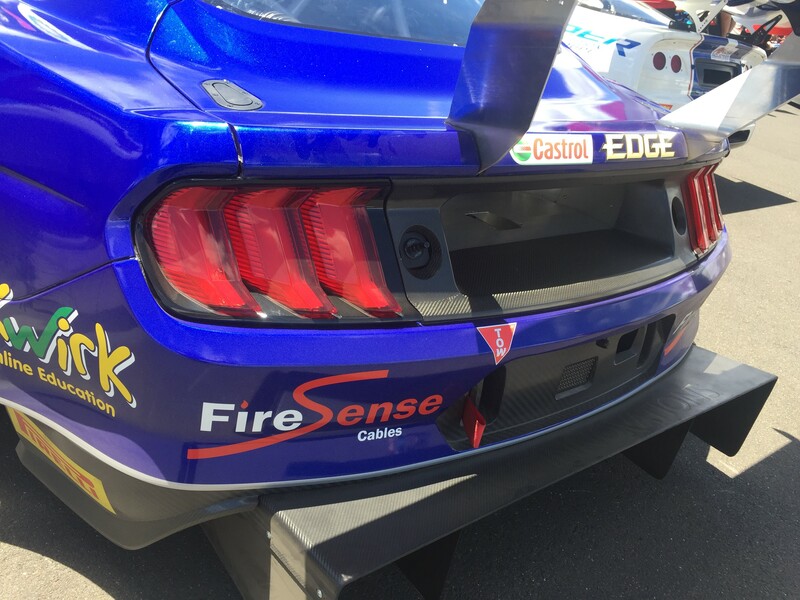 The FireSense sponsored blue Mustang took out its honour in its own class at the Bathurst 12 Hour on Sunday 4th February. Drivers Keith Kassulke, Will Brown & Rod Salmon won their class after completing 258 laps - 14 laps ahead of Car 93, driven by Grant Denyer and his team. This follows back to back wins for Rod and his team. We'd like to thank Rod and the MARC Car Australia team for allowing FireSense to be a part of the winning team. FireSense has yet again expanded our cable range to include TPS Halogen Free Flat with a White Stripe (TPSHF-1.50-2CW-500). Our halogen free TPS range has insulation and sheath materials which are low smoke, low acid and low toxicity, ideal for use in underground environments, and for Green Building and Green Star building applications. The white stripe is available as an option to allow installer to distinguish between speaker & detector circuits. For further information, feel free to contact your local branch! Daniel Dowling joins our team! We are very happy to welcome Daniel Dowling in the position of Technical Support at our Head Office in Sydney. Daniel has worked for both market leaders & emerging companies within the fire industry, for more than ten years. His previous positions include foreman, commissioner & supervisor on fire installs, both large & small, as well as commissioning & project management. 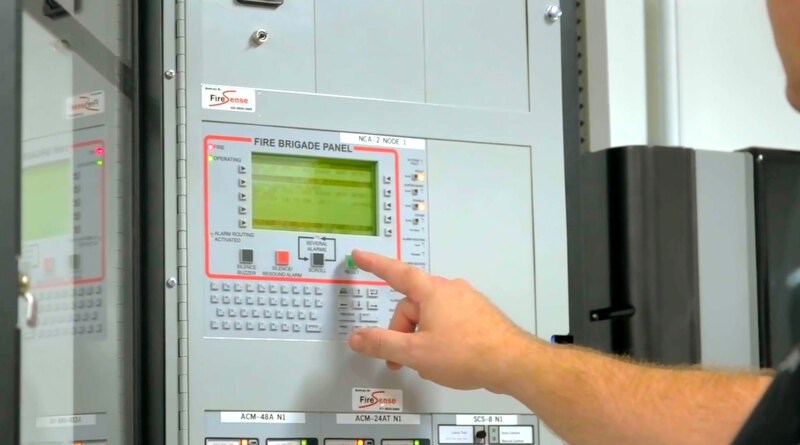 With experience working on hospitals, prisons, high-rise, commercial, gas systems, and in service, Daniel will be able to assist you while on site, with any issues regarding our FireSense systems. If you require any technical support, please contact the office on 02 8850 2888. To help with the constant demand on our Technical & Production team in 2017, our FireSense Head Office in Sydney have not only re-structed, but have increased the number of people available to our customers, to help with your next project. Justin Ford has now moved on to become our Production Operations Manager, still overseeing our production/technical division, but is now more focused on production control & procurement of stock, fire panels, and our systems. Chris Borraccino is now in the position of Technical Support Supervisor, overseeing the entire technical team in relation to support, site visits and programming. If you require any technical support, please contact our office on 02 8850 2888. Due to increased demand, FireSense VIC has recently employed Tim Conway in the position of Technical Support. Before entering the fire industry, Tim spent ten years in the IT industry, designing, installing network systems and maintaining systems for clients. From there, he spent time as a technician installing cabling & detection for jobs, as well as working on a number of systems installing, programming and fault finding. Tim's experience will prove invaluable for our Victorian customers who need support on our FireSense systems. As FireSense grows and expands as a company, so too does our product range and its availability across the country. Our QLD office can now officially distribute VESDA & Xtralis products to our QLD customers, alongside our Fire Rated & Detection cable, and Sprinkler products. Products now available in our QLD office include, but are not limited to, VESDA VLI, VESDA-E VEU/VEP, VESDA LaserFocus and various VESDA accessories. To help support and help maintain the high level of service expected by us, we have also welcomed Eoin McStay in the position of Aspirated Technical Support & Sales. Eoin brings a wealth of knowledge having worked in a technical capacity within the fire industry for the past thirteen years.